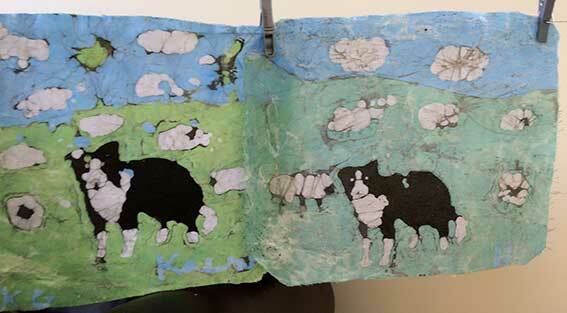 I used this 'Sheep Dog' design to explain the Batik process to a group of 9 and 10 year olds, on a memorable and very rewarding day I spent as 'artist in residence' in an inner city school, in a deprived area of Stoke on Trent. 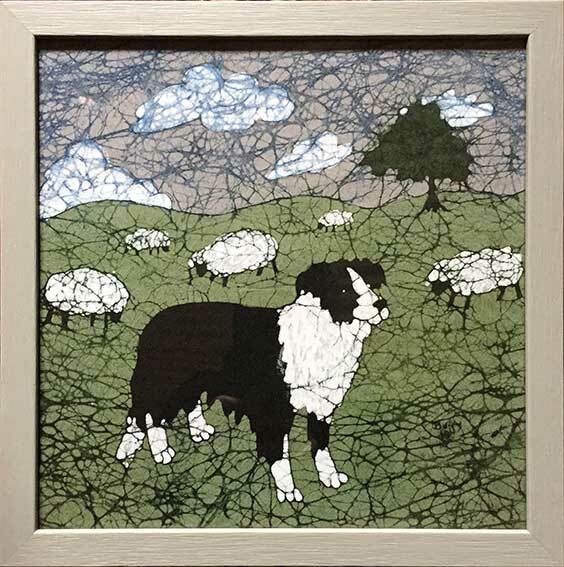 I prepared for them, simple line drawings of sheep and dogs and encouraged them to use them in their own designs, tracing the shapes and placing them in fields with sky. We had limited time to dry their work between waxings, so we only used three colours, blue, then yellow, then black. Putting yellow on top of blue made the green for the grass, which got across to them the way the order of the colours work. We used water-based coloured inks for our dyes. 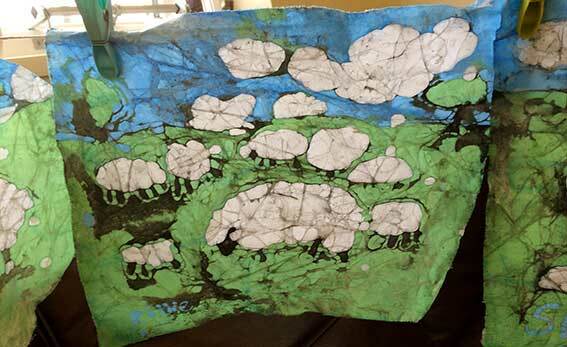 Their Batiks were amazing - so creative! Their teacher is continuing with the techniques I showed her and the children and I really enjoyed our day.